Perfect for favors, presents or just snacking! 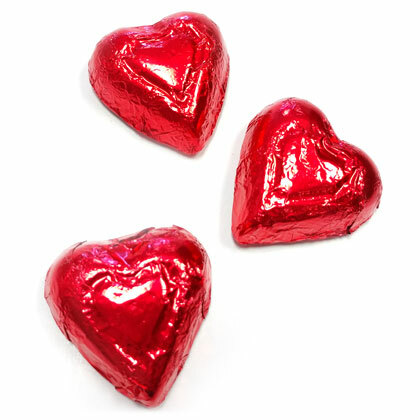 Gourmet Madelaine milk chocolate hearts wrapped in red foil. OU Kosher Dairy. Approx. 1.375 inches wide and 3.5 per ounce. 5 oz bag.